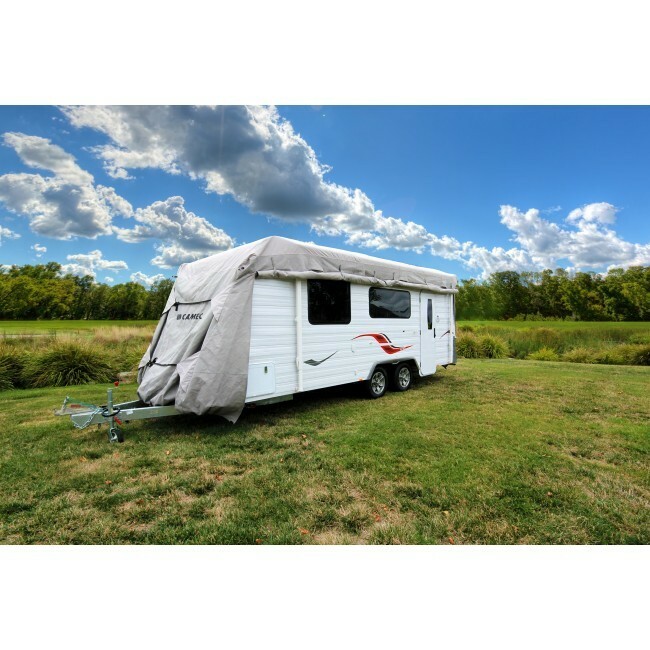 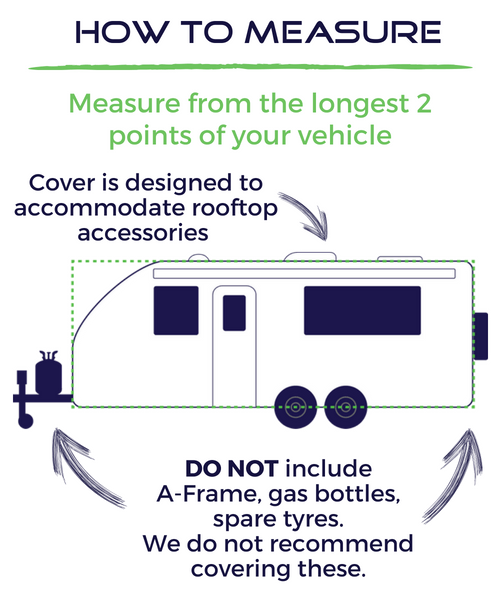 Protect your large caravan and all its furniture and accessories with a high quality cover to shield it from the elements. 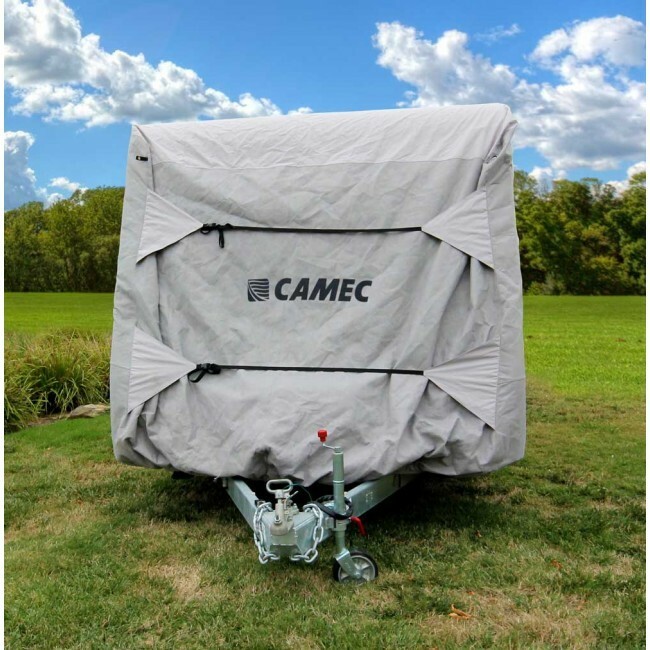 This Camec caravan cover, especially designed to fit caravans ranging from 22 to 24 feet in external length, does the job with finesse. 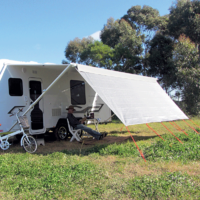 Its universal, lightweight design securely fits over your caravan, tightening any loose fabric by means of dual clip nylon straps on the front and rear faces. 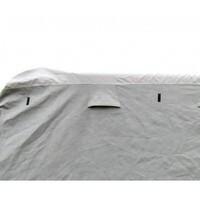 The cover has a UV stabilised design to block out harmful sunlight that can damage paints and fabrics. Featuring a water resistant roof section for protection against moisture and acid rain, the side panels are also weather resistant, with the added advantage of breathability to allow for moisture evaporation and prevent mould and mildew. 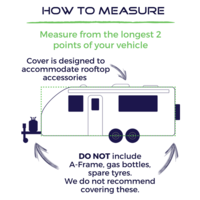 The caravan cover is easy to install, comes with a non-abrasive inner lining, and includes a zippered side panel to allow access to your caravan’s interior, suitable for caravans with both front and rear side doors. A reinforced skirt and double stitched corners add to the heavy duty, durable build of the Camec caravan cover. 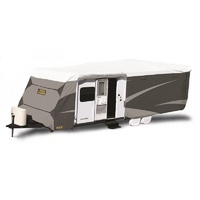 A great set of features at an attractive price point, makes this a caravan accessory you shouldn’t miss out on. The quality of the cover is excellent but because our caravan is actually 24’3” the cover is very snug tight to the extend that the zip at the door is very hard to unzip and zip back up. 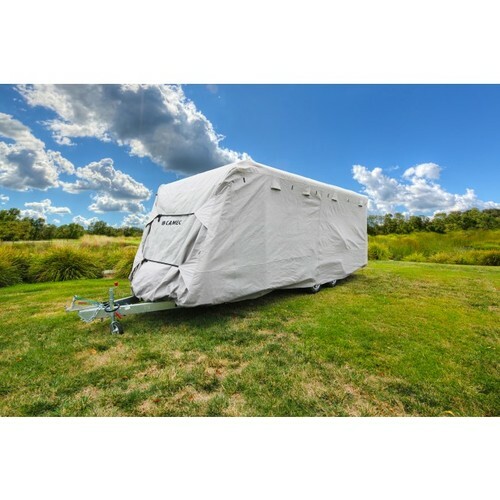 I would definitely look at a size bigger next time around to have a bit of extra room in it. 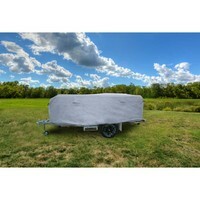 The delivery was prompt.